The Strange Agency presents Bite Me! for the iPad. 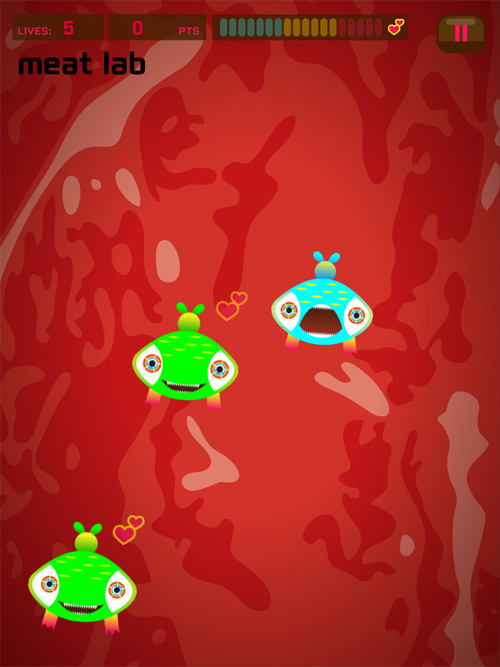 The Blobs may look like innocent little creatures, but don't be fooled, they feed on human fingers! 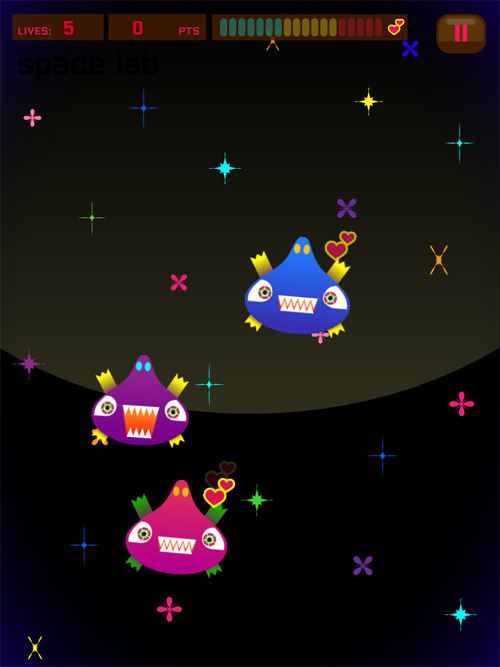 Hold a finger on each hungry Blob as it appears until it has fed enough and disappears happily. Let go too soon and the Blob will die. 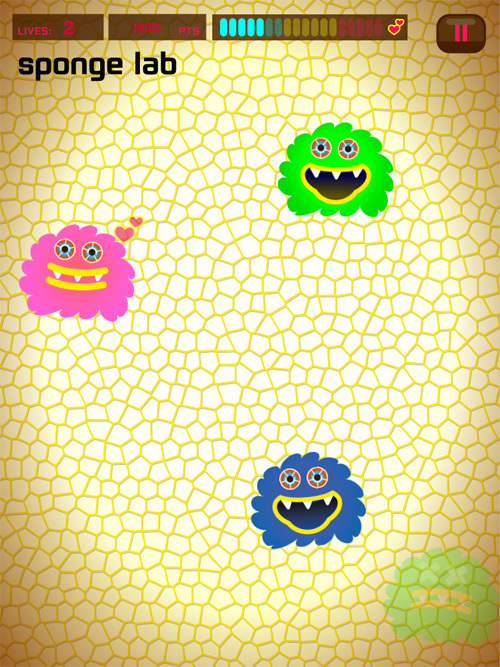 The Blobs appear in random places and may move in random directions, so it's up to you to keep them all happy. The longer your finger stays on a Blob, the more points you get. 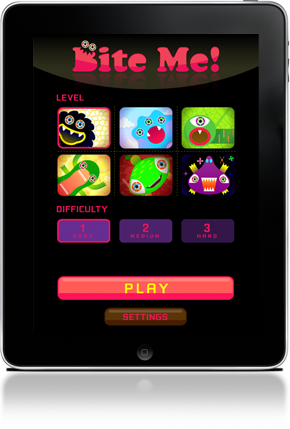 As you unlock new levels, you'll discover new level backgrounds, new songs, and new varieties of Blobs. This game makes me want to buy iPad right now!!!! This game will make me buy an iPad for my wife!! I can feel my fingers getting nibbled on already. 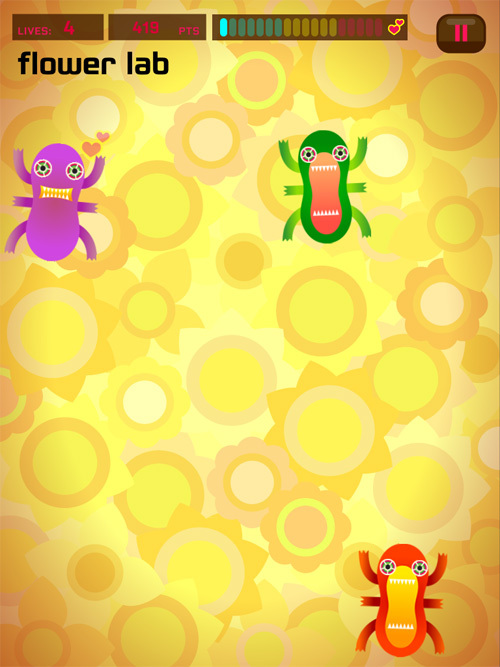 A stylish and funny cool game. You been featured here http://stylishipadapps.tumblr.com/post/3597882085/arhhh-bite-me. 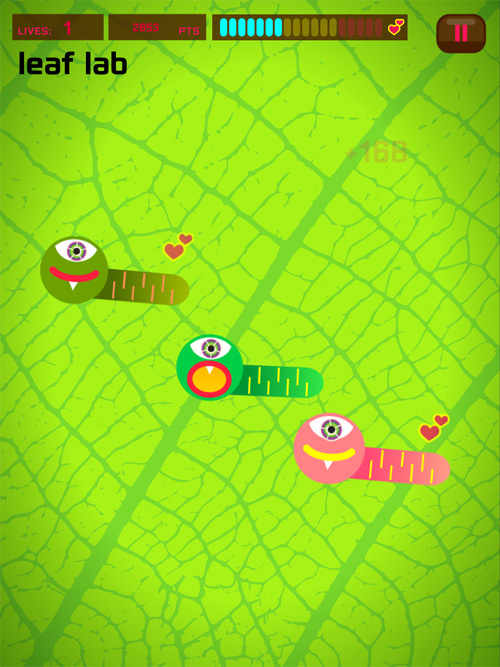 Brilliant game, it provides me with a welcome distraction after all that granular synthesis that your other apps have been battering my ears with!